The Nintendo Switch has made it easier than ever for Western Nintendo fans to enjoy import-only games, and it’s a good thing, too, because there’s some fun stuff to check out! (Even if, due to so many localizations about which we will not complain, the options are still a bit slim.) 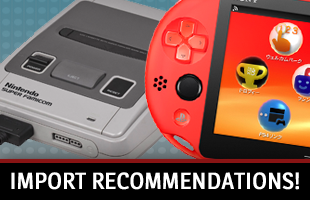 Here’s your guide to what you should be playing that hasn’t made it to Western eShops. Physical games are totally region-free. So if a game’s released at retail, you can just buy from somewhere like Amazon Japan and get to playing! 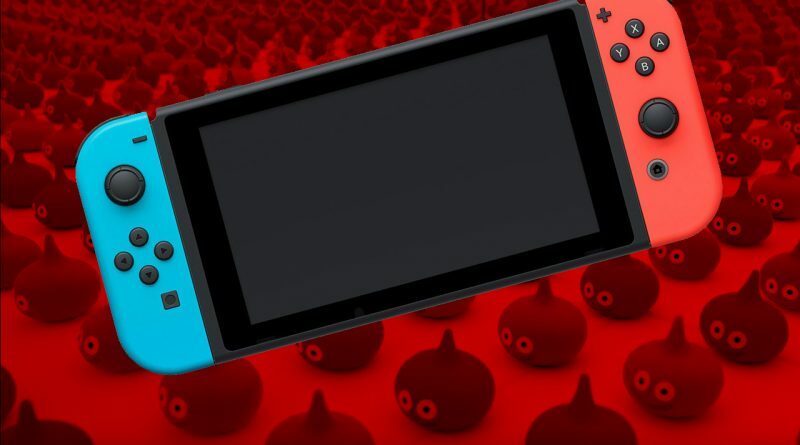 Switch systems support multiple accounts for digital purchases. So you can create a Japanese Nintendo Account the same way you created your American one, then log in through the system and download games! Some Western credit cards work (with a small foreign transaction fee, usually), but you can also grab credit online. Once you have the game on the system, any account can play it, but you may need to use that region’s account to access DLC. Okay, that’s done! Let’s get to it. This port of the 3DS game that we also didn’t get is another example of just how good of a developer Level-5 can be. 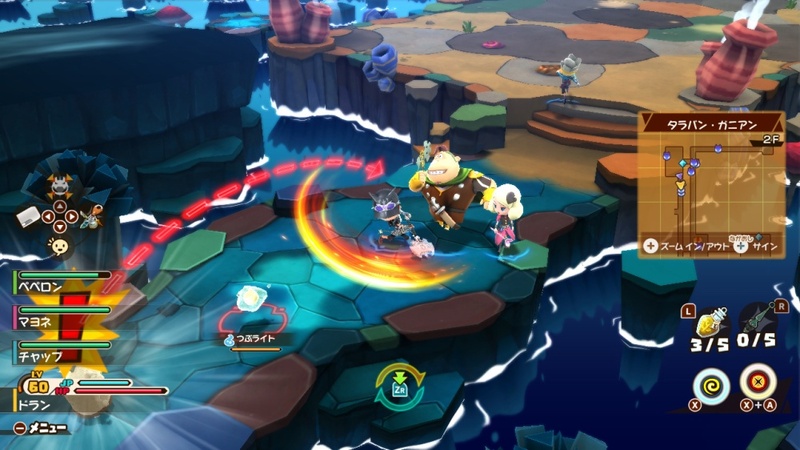 It’s a little more action-oriented than Fantasy Life and Yo-kai Watch, but it’s no less charming, and while we’re crossing our fingers that this one makes its way Westward, for now, it’s a great option if you’re looking for something deep and engrossing. While some of the more involved modes may be a bit intimidating to understand, the basic gameplay of this cartoony baseball game is simple and a lot of fun. The latest in a series that started on the Famicom, it’s definitely the sort of game that focuses on fewer, more refined systems to have a good time rather than the elaborate realism of games like The Show. It’s not quite Power Pros, but it’s close enough to be worth a few plays. Want a bike that can double-jump? 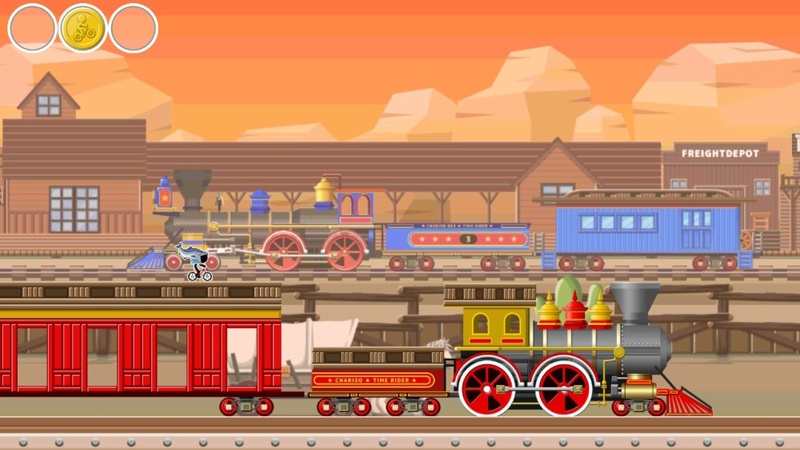 If so, Bike Rider DX‘s side-scrolling challenge levels may be for you. This compilation of previous games on other platforms (some of which made it over here) is a ton of game for not a lot of price, and there’s very little in it that’s hard to parse in Japanese. 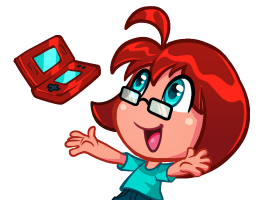 It’s a simple, lightweight sort of experience that’s good in short bursts, and that’s nice to have on the system when you need a change of pace between big Nintendo stuff! If you like games like Swords & Soldiers and The Battle Cats, you may want to check out this strange-at-times little take on the formula. There’s a fairly high language barrier here at first, but once you’re able to learn the units, you should be okay. We wrote more about it, too! Take a look. Okay, so you know how Mario Party is a series of minigames in which you don’t always know what’s going on and that’s not always a problem? Imagine that, but with just the most soothing aesthetic you’ve ever seen in your life. 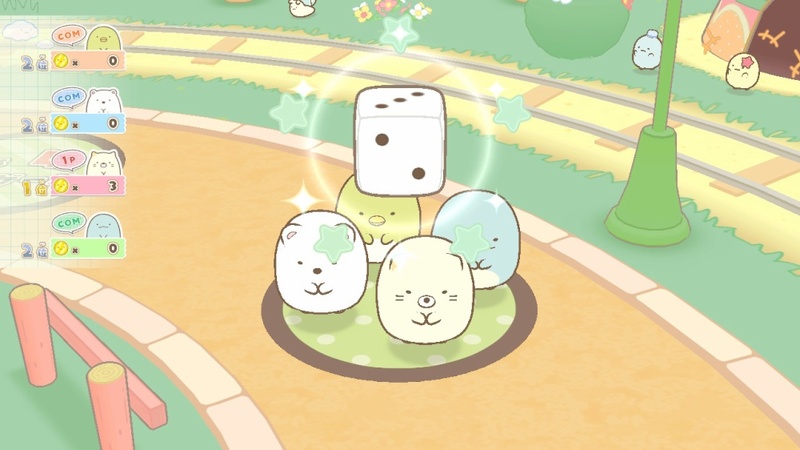 What you have in your head may be very close to the Sumikko Gurashi game for Switch, which slows down its board game a bit to make sure all its animations are very cute and all its challenges are as pastel as is possible. Is that a weird pitch for a game? Most definitely. But many of you are here for weird, so we’re trying to deliver. There were a lot of great multiplayer classics in the Kunio-kun series, and this compilation wrangles all of the Japanese games with the few Western releases together in one package. Even the Japanese games are fairly approachable, but it’s nice to see all the English options included too, like River City Ransom and Super Dodge Ball. Similarly, this Japan-only compilation of the first three Mana games is a good excuse to head back to these cool releases. Unfortunately, there’s no English support here, but they’re mostly action games and many have played the second game enough to know those menus backward and forward anyway. 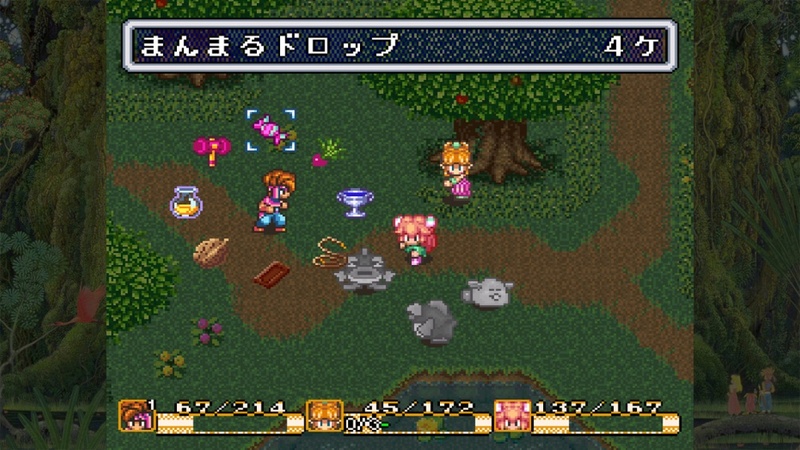 We wish this would come to the West and finally give us an official release of Seiken Densetsu 3, but that seems unlikely. While the Switch has yet to see its own Hatsune Miku release, this game does a lot of what you’d expect from Project Diva and it’s not too bad at it. (Don’t get us wrong: we’d still prefer Hatsune Miku.) An entry in a cross-media franchise of its own, its specialty is in bright colors and lots of sparkles. It’s a lot for the eyes, for sure. Much like Bike Rider DX, Puzzle Out Stories is a compilation of previous releases, this time a selection of two-dimensional side-view traversal puzzles. 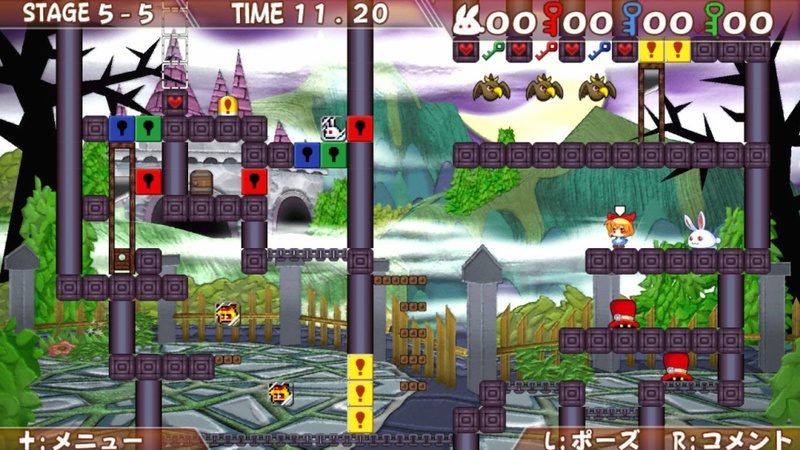 It’s less of a budget release, but it does offer four full 3DS games’ worth of timed levels to master, and each of those games steps up the difficulty and options in some interesting ways. While we should be getting this one in the West sometime in 2019, that may not be soon enough for some. (Like us!) It’s a bit sad to miss out on the franchise’s signature wit, there’s not a lot of the game that you can’t figure out without reading, so it’s not so bad to be impatient for this one. 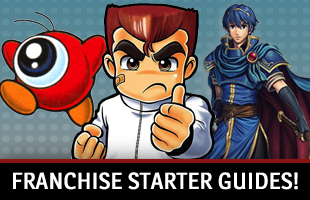 We’ll keep updating this guide as more great Switch games release! For more helpful advice for importers, check out our Guides section!